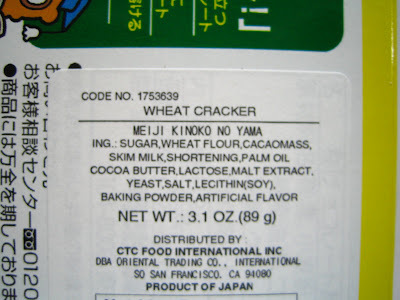 Wheat Cracker? Oh well… not as fun as Every Burger, but it will have to do. Erik contemplated the packaging and remembers that last week I screwed him over an made him eat turd cookies. Erik opens the box to reveal a single package. Oh! The lid has a diagram with some writing. 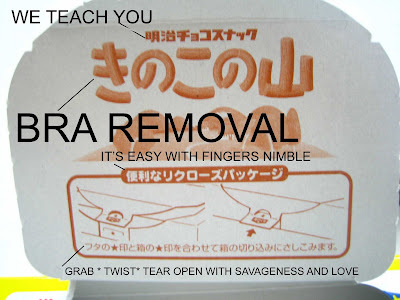 Erik tears into the package with savageness and love. Wow! 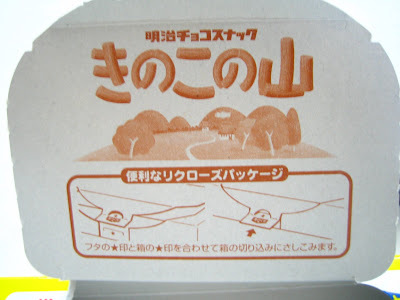 The cookie looks just like the illustrations on the outside of the package said it would! Let’s find out how truthful the packaging really is. 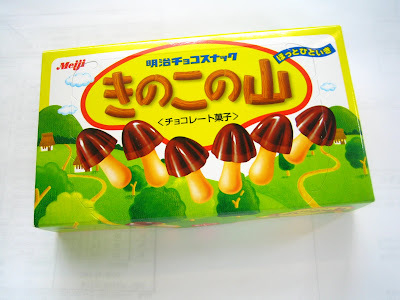 Here’s the box with a mushroom cookie. Now Erik deftly cuts into one of the cookies. Wow! An exact match! Unbelievable! I almost feel bad about making up the bra removal stuff! Let’s get on to the tasting. It delicious! Sweet. A little salty. A very crunchy! Perhaps there was an urgent visit to the restroom later?